CD Drive, DVD Drive, Floppy Drive. Zip Drive, Smart card reader. Our Products >> Computer Components >> CD, DVD, Floppy Drive. Shop CD, DVD, Floppy Drive. Belkin F2N1107-18INCH X80 Ultra ATA/66 IDE Ribbon Dual Drive. Belkin Floppy Drive Kit. New. F5U099. UPC: 722868431429. BTC BCD16XA Internal 52X Max CD-ROM. 753622011816. BTC Internal 16X DVD-ROM Drive. UPC: 753622070042. CableMaxx 24" Black Floppy Cable. New. 840556017271. Cablemaxx 24" Blue Floppy Cable. New. Dual Device. CableMaxx 24" Yellow Floppy Cable. New. Dual Device. CD ROM 5.25" RPC2803 Bay Door Cover. Refurbished. CI Design 01-2035-B 0-2056-B Floppy Drive Backets. Ci Design 02-1041-24A Floppy Bay Cover, Refurbished. 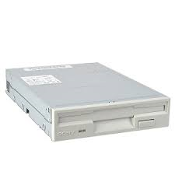 Compaq 14187-106 Desktop Internal Floppy Drive. Compaq 176137-F30 Floppy Drive. 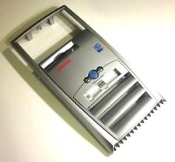 Compaq 265966-001 Presario 6000 Desktop Face Plate. Compaq 334512-001 5.25" Bay Cover. Refurbished. Compaq 334641-001 Bay Cover. Used. Compaq 344693800007 Bay Cover. Used. Compaq I/O Panel. 6000 Series. CMT/SDT. Compaq SCSI Drive Bay Blank. 349460-001. Convert 5.25" Floppy Bay into a 3.5" Micro Floppy Bay. New. Dell 02TGK CD-ROM 5.25" Bezel. Dell 0TF170 CD-R/DVD-ROM. Refurbished. Dell 0U179R DVD Black Bezel. Working Pull. Dell 2L273-01 Desktop Ivory Cover. Refurbished. Dell 4129V, 31UWD, 432GK, Optiplex Precision Bay Cover. Dell 432GK Black Bay Cover. Dell 45NCC Optiplex Dimension Floppy Drive Bezel. 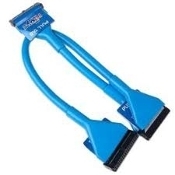 Dell 5P510 IDE Cable. Refurbished. Dell 8H284 3.5" Floppy Drive Bay Cover. Dell 97WDN Filler Panel 5.25 Bay Dark Gray. Dell C600 Ivory Face Plate Cover. 2L272-01. Refurbished. Dell Dimension E310 Front Bezel Cover HJ491. 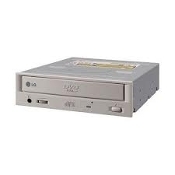 Dell Lite-On 0K7599 CD-ROM Drive. OK7599 Dell Precision 4F415 IDE Cable. Refurbished. Dell SFD-321J Floppy Drive. Refurbished. Dell SM-348 CD-RW/DVD Drive with Black Bezel. Desktop 0205-03451 5.25" Ivory Cover. Refurbished. Desktop 171-181 Cover. Ivory. 3.5" Cover. Refurbished. Desktop 25102 REV A02 Ivory Face Plate Cover. Refurbished. Desktop 2FC-601A-CMXX-X Faceplate Black Cover. Refurbished. Desktop 5000BZ Ivory Face Plate Cover. Refurbished. Desktop 520095 Ivory 5.25" Bay Cover. Refurbished. Desktop 80422118 A. Ivory 5.25" Bay Cover. Desktop D1058 Face Plate Ivory Cover. Refurbished. Desktop Floppy Drive Cover. Black. 2FC-3500-CMXX-X. Emprex External CD-RW USB 2.0 Drive. 753622012387. New. Enlight 3631000104 5.25" Ivory Bay Cover. Refurbished. 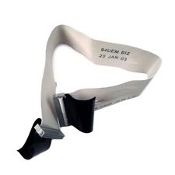 Foxconn 94UEM Ribbon Cable. Refurbished. Foxconn A49275-002 Round 22" Single Floppy Cable. Foxconn DC094 14" SATA Orange Cable. Refurbished. Foxconn FP07K98-11 Hard Drive Cable. Refurbished. Foxconn Y5391 Ribbon Cable. Y5393. Refurbished. Hitachi-LG GT10N Super Multi DVD Rewriter. Working Pull. HP 410125-200 DVD ROM. Refurbished. HP 5188-5471 SATA Red Hard Drive Cable. 12". HP 5188-7536 DVD RW Burner. LightScribe. DVD+R DL. HP 5188-7537 Super Multi DVD Rewriter. GH10L. Refurbished. IBM 09N0879 IDE 18X-40X CD-ROM Drive. Refurbished. Manhattan 360524 IDE Dual Ribbon Cable. 36" (90cm). Mitsubishi Electric 304235-001 Floppy Drive. Used. NEC 134-506790-440-4 Floppy Drive. Refurbished. NEC NR-7900A CD-R/RW Drive. Refurbished. Optorite CW-5207 CD RW IDE Drive, CD Burner for Desktop. New. Samsung 52X CD-ROM Drive. Model: SC-152. New. Samsung CD-RW/DVD Drive SM-348. Refurbished. Samsung SD-616. DVD Master 16. Refurbished. Samsung SFD 321B, 1.44 MB Floppy Drive Internal, Black. 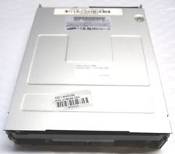 Samsung SW-224B/TG9 CD ReWritable. SW-224. Seagate ST310014ACE 10.2 GB Hard Drive. New. Sony MPF920 1.44 MB Floppy Drive. Internal. Almond. 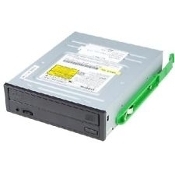 Sony Optiarc AD-7703S DVD/CD ReWritable Disk Drive. 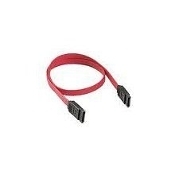 Super Micro CBL-0044L SATA 2' Red Cable. CBL0044L. New. Synmicro 3.5" 1.44MB Floppy Drive. 632863203306. New. 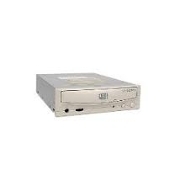 Ultima Electronics CHA-56 56X Max CD-ROM. Refurbished.